The food, the fun, the firecrackers, the excitement. That's right, we are now just over a week away from the start of Lakeridge's 2018 Firecracker Classic baseball tournament. 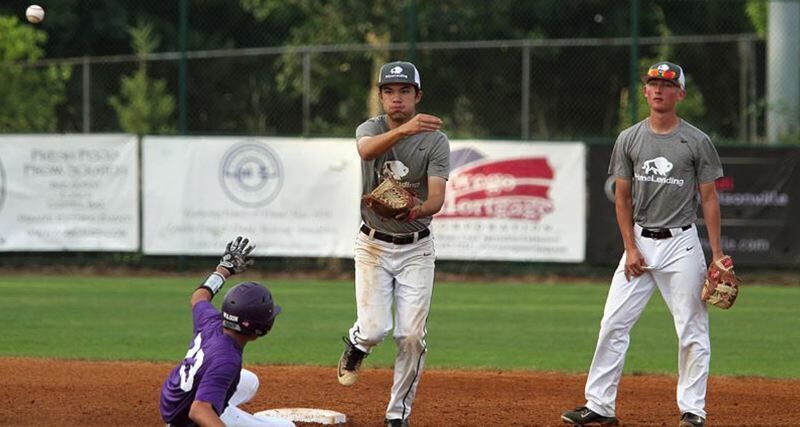 The 24th annual Firecracker Classic tournament opens on June 28 and continues through July 1 at Gary Smith Field and Abramson Field at Lakeridge High School, 1235 Overlook Drive. To suggest that the Pacers are excited about this event and look forward to it would be a massive understatement. "The best part about the Firecracker is the continual support of Pacer alumni and the organization as a whole," said Lakeridge interim coach Miles Lewis. "Between former players, parents and even teachers, this has become an annual tradition for many baseball players and Lakeridge alumni." The 16-team tournament kicks off with three days of pool play, then moves into championship play on July 1. The tournament semifinals are set at 2 p.m. and 4:30 p.m. July 1 at Abramson Field, with the tournament championship scheduled for 7 p.m. July 1 at Abramson Field. To see the complete tournament bracket, click here. "At the end of the day, there is tremendous amount of pride that takes place over the weekend, and that can be seen by how we prepare the fields, how we interact with other teams and how we try to make this a great experience for everyone," Lewis said. In addition to the Pacers, participating teams include: Columbia River, Sunset, West Linn, Skyview, Perth (Australia), No. 1, Perth (Australia), No. 2, Westview, Lincoln, Jesuit, Camas, NW Star, Mountainside, Southridge, Grant and Oregon City. • While the annual Firecracker Classic offers Lakeridge's baseball team a chance to show off its home fields, some of the tournament's teams come from a little farther afield. Farther as in 9,213 miles away — that's the distance that the two participating teams from Perth, Australia, have traveled to compete in this year's tournament. On their long summer trip — the two Perth Heat teams travel up and down the West Coast to play baseball — the Perth players need places to stay during their week in Lake Oswego. With two Australian teams in the field this year, Firecracker Classic organizers need more help with host families than ever before. Volunteer host families typically take a minimum of two players so they'll each have a teammate with them, but host families can also sign up for more. Most players are American born but living abroad. Host families can sign up at signupgenius.com/go/20f054caba62ca1fc1-pacer. have a few other games in the area besides the Firecracker Classic, but host families need only to pick them up and drop them off at Lakeridge. First-round match-ups in June 28 pool play action include the following games: Perth 2 vs. Sunset, 9:30 a.m. at Abramson; Perth 1 vs. Skyview, 12:30 p.m. at Abramson; Skyview vs. Southridge, 3:30 p.m. at Abramson; NW Star vs. Lakeridge, 6:30 p.m. at Abramson; Oregon City vs. Grant, 9 a.m. at Smith; Columbia River vs. Mountainside, noon at Smith; Lincoln vs. Westview, 3 p.m. at Smith; and Jesuit vs. West Linn, 6 p.m. at Smith. On June 29, the pool play lineup includes: Oregon City vs. Lincoln, 9:30 a.m. at Abramson; Grant vs. Westview, 12:30 p.m. at Abramson; Jesuit vs. Columbia River, 3:30 p.m. at Abramson; Perth 2 vs. Lakeridge, 6:30 p.m. at Abramson; Mountainside vs. West Linn, 9 a.m. at Smith; Camas vs. Skyview, noon at Smith; Southridge vs. Perth 1, 3 p.m. at Smith; and Sunset vs. NW Star, 6 p.m. at Smith. Pool play then concludes on June 30 with the following contests: Mountainside vs. Westview, 9:30 a.m. at Abramson; Perth 1 vs. Skyview, 12:30 p.m. at Abramson; West Linn vs. Columbia River, 3:30 p.m. at Abramson; Sunset vs. Lakeridge, 6:30 p.m. at Abramson; Westview vs. Oregon City, 9 a.m. at Smith; Camas vs. Southridge, noon at Smith; NW Star vs. Perth 2, 3 p.m. at Smith; and Lincoln vs. Grant, 6 p.m. at Smith. The third- and fourth-place teams from each pool will then play once more at Gary Smith Field on July 1, with games set for 8:30 a.m., 11 a.m., 1:30 p.m. and 4 p.m. The top two teams from each pool will advance to championship play at Abramson Field on July 1, with second-place teams from each pool meeting at 8:45 a.m. and 11:15 a.m., and first-place teams from each pool meeting in the tournament semifinals at 2 p.m. and 4:30 p.m., and the championship game to follow at 7 p.m.
Preparations for the tournament kicked off months ago, beginning with invitations to the participating teams back in October, securing details and host families for the visiting team from Perth, Australia, and more. Ticket prices are: $60 for a four-day pass (family of four); $25 for a four-day pass (individual); $8 for a single day (adult); $5 for a single day (seniors 55 and older; students); and free to children 10 and younger. To see the complete schedule and more information, visit pacerbaseball.net.